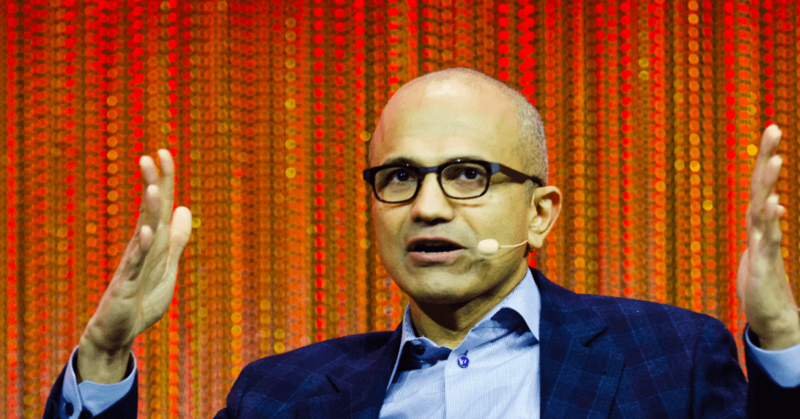 Microsoft has big revenue goals for its cloud business — how is it faring? It’s earnings season all over again, giving us nerds market enthusiasts a fresh look into how public technology companies are faring. Facebook did well, Apple didn’t. Google managed to beat Apple’s market cap after a strong report, and Microsoft dropped its own set of numbers. You can find a broad assesment of Redmond’s performance during the most recent quarter here. While that’s useful, today we’ll focus on a single category: cloud. Microsoft made waves in April of 2015 when it promised investors it would reach a $20 billion run rate for its commercial cloud business in its fiscal 2018. Microsoft’s fiscal calendar is ahead by half a year, so its fiscal 2018 will run from the middle of calendar 2017, to the middle of calendar 2018. That means Microsoft has ten quarters to reach the $20 billion run-rate figure. How is the company faring on its path to that goal, and will it reach the mark before the allotted time? Let’s take a look. We are discussing Microsoft’s ‘commercial cloud’ revenue, not every dollar that it generates from services that could be delineated as cloud-based. This is not our own construction, but a Microsoft-derived phrase. I rang the company to get a full definition of what constitutes ‘commercial cloud.’ A Microsoft spokesperson said that ‘commercial cloud’ is Azure, Dynamics, and business-sold Office 365, with some other things mixed in. Yammer, for example. More succinctly, it’s the set of services that Microsoft sells to corporations that are hosted in a cloud environment. Shocking I know, given its name. That in hand, let’s take a look at how the company has performed with the segment, including its last quarter. In its most recent quarterly report, Microsoft indicated that its commercial cloud is now on a $9.4 billion run rate. That’s 47 percent of its $20 billion goal. As you can see, the law of large numbers is weighing on the company’s commercial cloud growth performance. That’s not surprising. The company’s last quarter report was strong. Given Microsoft’s soft growth in the preceding quarter, I didn’t expect to see that much paint on the board. The company picked up $1.2 billion in new run rate in one quarter, moving from $8.2 billion, to $9.4 billion. Summing quickly, Microsoft grew its commercial cloud revenue from a $4.4 billion run rate in the fourth quarter of its fiscal 2014, to $9.4 billion in the second quarter of its fiscal 2016. That’s a $5 billion change. That growth metric can be viewed in two ways. First, that the company will not reach a $20 billion run rate in its fiscal 2018, taking the raw dollar change over the noted period, and extrapolating forward. That’s mostly due to what appears to be a quarter of low growth at the start of the company’s fiscal 2016. Similarly, we’re making great progress towards our goal of $20 billion in annualized commercial cloud revenue run rate, which now exceeds $8.2 billion. The results speak to our differentiated cloud strategy, expanded market opportunity, and the speed at which customers are adopting our services. As I reflect on the quarter, it’s important to note that we are investing in significant addressable markets where we also have meaningful differentiation. Today, we’ll walk through our financial results for the first quarter and discuss how we’re delivering new innovation and growing users and usage across each of our three segments. That would sound overly optimistic, if not for the result that followed, which grew commercial cloud top line by $1.2 billion in a single fiscal period. So the question remains open: If Microsoft can keep up its most recent level of dollar growth, it will handily surpass the $20 billion run rate mark during its fiscal 2018. That estimate includes slowing year-over-year percentage growth, as the new revenue comprises a smaller and smaller cohort of aggregate commercial cloud revenue — it handicaps percentage growth for us. But, if the company cannot match that dollar growth, things get dicey. The math is simple: 10 quarters, and $10.6 billion to go. Microsoft is competing in a market environment that contains some of the most valuable corporations in the world. It also has to contend with an increasingly difficult macroeconomic situation. Things aren’t exactly skipping along across the world, and some major regions are nearly in contraction. That could present additional headwinds. You can toss in foreign-exchange difficulties, and whatever else you like as well. What will be interesting over the next few quarters is the dollar expansion of Microsoft’s commercial cloud run rate. Every quarter that it grows that figure by more than $1.06 billion, it puts revenue into the tank that it can lean on later, if it has another slip in growth. I doubt that the company wants to plan in that way, but for us outside, it’s not the worst way to think about growth. Before I let you go, why do we care about all of this. Cloud-based services are increasingly popular for both consumers, and corporations. That fact is something that legacy software shops like Microsoft and Adobe have to contend with. Either convert, or get left behind. And $20 billion is a big number. If Microsoft can meet that metric, or perhaps even best it, the company will have pulled off a notable shift in strategy while in motion. For now, it’s 47 percent of the way to 100 percent. We’ll check back in three months. Featured Image via Flickr user Heisenberg Media under CC BY 2.0. Image has been cropped.